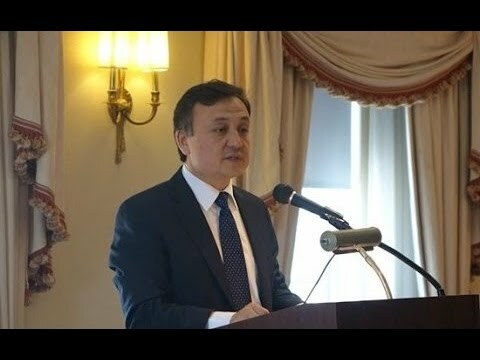 On 26 July 2017, Mr Dolkun Isa, General Secretary of the World Uyghur Congress and UNPO Member, was arrested by 15-20 General Investigations and Special Operations Division (DIGOS) officers outside the entrance of the Italian Senate. Mr Isa was scheduled to speak at a conference organised by UNPO in collaboration with the Nonviolent Radical Party, Transnational and Transparty and hosted by Senator Luigi Compagna, entitled ‘’SOS Rule of Law: The Uyghur Emergency’’. UNPO strongly condemns the silencing of a human rights activist whose unique aim is to raise awareness of the plight of his people, the Uyghurs, and deplores the repeated attempts to expel him from democratic institutions. Below is the above-mentioned press release, which you can also download here. Rome, 28 July 2017 - Mr Dolkun Isa was in Italy to partake as a speaker in a conference at the Italian Senate on 26 July entitled “SOS Rule of Law: Uyghur Emergency”, organised by the Unrepresented Nations and Peoples Organization (UNPO) and the Nonviolent Radical Party, Transnational and Transparty. Hosted by Senator Compagna, the press event, which took place despite the disruption, discussed the current human rights situation for Uyghurs of the Xinjiang autonomous region, otherwise referred to as East Turkestan, and took a special focus on the urgent situation facing Uyghur students in Egypt – detained and facing deportation to China. The event was also set out to reaffirm Mr Isa’s German citizenship, which he obtained whilst being granted political asylum. Mr Isa arrived in Rome at the airport the day before the conference; he spent the evening in the city and slept in a hotel close to the Senate. The day after, he went to offices of the Nonviolent Radical Party, Transnational and Transparty at 10:30 and in no moment he was stopped by police forces. It was only at 11:45, fifteen minutes before Mr Isa was scheduled to speak at the Senate, that officials approached and took him to a police station for an identity check. The Coordinator of the Presidency of the Nonviolent Radical Party, Transnational and Transparty, Maurizio Turco, underlined how absurd is the fact that Mr Isa had flown on a commercial flight, therefore presenting his official documents and undergoing several security checks, and yet was stopped by approximately 15 to 20 plain-clothed policemen precisely at the moment of his speech. Mr Isa was released around 15:00 and brought directly back to the office of the the Nonviolent Radical Party, Transnational and Transparty. Upon release, the officers told him they would run his information against the Interpol database. When Mr Isa asked why he had been stopped, the DIGOS officers informed that they had acted upon the request from Chinese authorities. In light of the incident, Senator Compagna reiterated that the Chinese government must understand that when it comes to parliamentary prerogatives and freedom of expression, especially on topics in which they may contradict them but not undermine their authority, Italy remains intransigent. The United Nations representative of the the Nonviolent Radical Party, Transnational and Transparty, Laura Harth, observed how worrying is the fact that a German citizen, guest of the Senator Compagna, was denied a voice in a democratic institution with such a specific history like the Italian Senate. Even more was to see Italian democratic institutions receiving and succumbing to such pressure, she added. Radio Radicale spoke about the incident with the President of the Italian Senate’s commission on human rights, Luigi Manconi, who commented that whenever a discussion about Chinese policies regarding its minority communities takes place, Beijing reacts immediately. – The President of the Ministry of Foreign Affairs, Pier Ferdinando Casini, in response to this incident said the press event was an initiative taken by individuals and did not involve the Ministry, thus reaffirming Italy and China’s excellent relationship. This remark, however, was questioned by Mr Manconi, who emphasised that criticising certain policies or attitudes employed by China must not be synonymous with questioning the relationship between the two countries. This incident is unfortunately not the first for Mr Isa, who was recently escorted out of the UN premisesduring the 2017 session of the UN Permanent Forum on Indigenous Issues (26 April 2017) on no grounds. This only points to a long standing tradition of China’s persecution of human rights activists. Senator Compagna emphatically pointed out how the event and Mr Isa’s contribution in no way were hostile to the Chinese government, but rather were aimed at advocating for the implementation of autonomy policies dedicated to Xinjiang within the Chinese constitution. Following his release, Mr Isa called on national governments to resist to Beijing’s pressures which grossly undermine democratic principles. UNPO strongly condemns the unfounded arrest of Mr Dolkun Isa and demands clarification and official apologies from Italian authorities for this direct infringement of Mr Isa’s freedom of expression.